As Matt mentioned in the September Wrap-Up, the Automattic crew is heading to Québec City to work on some top-secret projects. It worked well when we closed the email support system for our London Support meetup, so we’ve decided to do it again. Support will be unavailable from 10 a.m. EST on Friday, October 9 to 4 a.m. EST on Monday, October 19. Of course, our team will still be monitoring servers and services while we’re out to keep you blogging smoothly and safely. In the meantime, we encourage you to read through the Support docs and make use of the WordPress.com forums (which are full of friendly users like you) if you need a little help. While we’re away, we’ll be running a contest to see who can use the WordPress logo in the most creative way. Take advantage of your camera, graphics applications, crayons, and anything else you have at your disposal. Create a post on your WordPress.com blog, upload your image or images, and leave a comment here with the URL of your post. Please make sure to leave the URL to your post in the comment text or the entry will not be accepted. 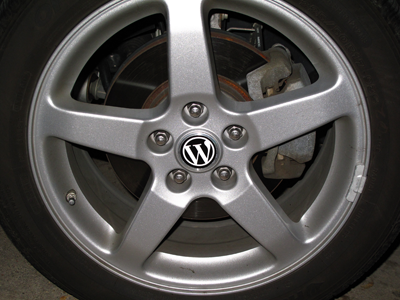 We’ll get you started by providing some official WordPress logos, but the rest is up to you. I’m sure you can do better than the photos I’ve included here. We’ll keep an eye on submissions and post some of them to the @wordpressdotcom Twitter account during the week. The deadline for submissions will be 4 p.m. EST on Monday, October 19. We’ll create categories based on the best submissions and run polls to let you select the winners. Prizes will include WordPress.com upgrades, swag, and maybe other surprises. Good luck! Where will you guys be staying at? Are planning some kind of meeting or something? This will be fun! I wonder how many WP images on human body are going to come up! I am positive that there will be a flood of creativity coming out soon, but I wanted to submit my meager attempt to create something different using the WordPress logo. Hello, this is my contribution to WordPress Logo Fun. Sweet contest, totally doing it…now, where’d I put that box of crayons? btw, is photoshopped photo ok? Yes, using Photoshop is accepted. Great idea! Where do we send the email with the post URL? Leave a comment here with the URL. Don’t leave out the wordpress.org folks, please. The Support site will still be live and there for you, but you won’t be able to use the Support Contact page to send us message. Here’s my entry 🙂 http://lincolnnz.wordpress.com/2009/10/08/wordpress-takes-on-hollywood/ Quite a simple first attempt by me. thanks! lets see what ppl come up with!!! keep up the good work! hi Nick, is it allowed more than one entry ? So, when you say, ‘must be uploaded’, I deduce, images stored on my host and displayed via href in my blog, do not qualify? 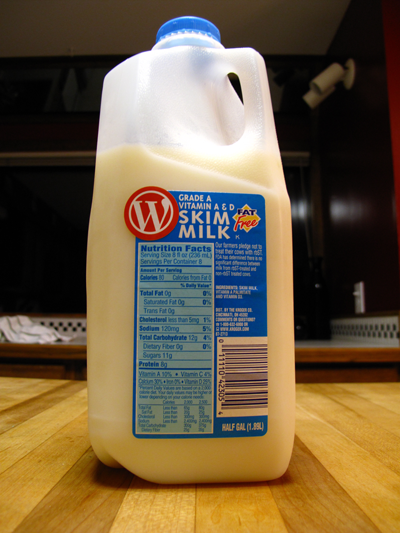 As long as the image is displayed in a post on a WordPress.com blog, it is ok. Does this have to be a picture of the WordPress logo in a unique location (similar to your example pictures) or can it be a graphical reinterpretation of the WordPress logo (e.g. a sketch that incorporates the logo, but the logo is part of the sketch and not the original logo image)? Looks like a fun contest either way! Right, this weekend is THE weekend for a round of photography. Time to dust off my dslr and get snapping. Do I have to make different post for different image which I submit? You can include multiple images in one post. Av’ a gander at this beauty! By ‘eck! It’s Landon Town Guv! Thanks wordpress for all this fun & more!! Here it is my way of having wordpress logo fun..Checkout!!! I don’t think I will enter. There’s lots of competitive players around here and I’m not sure this will work out for me. This is the first of my efforts to enter into the contest. Hope you people like it. I will be including more of such fun images in this post only, as it is allowed to post multiple images in one post. Thanks to WordPress team for bringing such an interesting contest. Here we go… just for the fun of it!!!!! I dont follow twitter. Please let me know somehow if my image was chosen! Wow! When you say the WP support team will still be monitoring servers and services, you really mean it. Last night when I logged in to edit, spell check, and schedule my post, all services disappeared for quite some time. What a time for you to have a server problem! One couldn’t even log out. I finally went to bed and got up at 3 a.m. to schedule the post. Everything was working great then. Hope the problem wasn’t too hard to fix. The WordPress team is really dedicated. Thank you very much. That’s what makes WordPress a truly great place to share with the world. I hope it’s a great time for you all, but I’m really surprised that WordPress would consider leaving absolutely no one at all on support for 10 days. Sorry to be saying something negative, as I’m a new WordPress blog owner, who’s totally delighted with everything else here. Don’t worry, we’re still keeping an eye on things 🙂 If you need direct help while we’re away, the forums are a great way to get help. There is an image in: http://hipersalenas.wordpress.com/2009/10/11/56-logo/ . I made with a will. Hay una imágen en: http://hipersalenas.wordpress.com/2009/10/11/56-logo/ . La hice yo con entusiasmo. Ok here are my pics. I just wish they are good enough XD. Well, I went for it and came up with an entry. It’s a bit silly and probably not what wordpress is expecting… but I had a fun time doing it. Hope to see other people do some cool things. Hopefully one of your top-secret projects is adding the events calendar widget to wordpress.com? Good idea. Am I the first with an entry? This sounds awesome and interesting! Hah, I really had fun using WP logos. I don’t quite understand why having a meeting is an excuse not to provide support for several days. It just blows my mind ! It also confirms to me that the quality of the internet is abysmal and very, very time wasting and nasty. We’re taking time out to improve services for you. We’re still keeping an eye on things while we’re away. If you’re having issues with your blog, please post to the forums and you’ll get great advice from fine users like you, or it’ll get flagged for our attention. When and where will the picture be shown? I noticed my comment with my submission is being held for moderation. After the deadline has passed we’ll look through the entries and publish a new post with categories and voting for the top submissions. Why is my comment STILLLLLL awaiting moderation??????? We aren’t approving any of the submissions. After the entry deadline is passed we’ll pick the top submissions and put them up for voting. Great!!!! I’m in.. check this ! It’s exciting to see all of those WP Logos. I like it! Thank you for wonderful contest to Nick and .com staffs. I placed my work to the contest. Enjoy it. 😕 Where? I see one up on Twitter and a one posted here (mine) – where can I go and see how the other entries are coming along? After the deadline we’ll look at the entries and put up voting. lol that’s so cool, good luck to you all! WEARD LOGO ON WEIRD PLACES! …I used (without knowing) the photo of Shutlle STS-107 tragic mission crew. I replaced it with another one. Also, I added one more called “WordPress News”. Sorry for the misfit. Wasn’t intended.